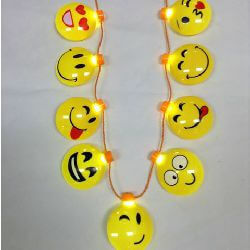 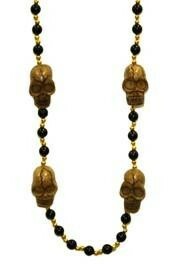 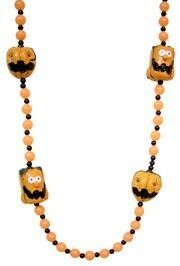 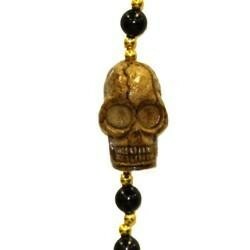 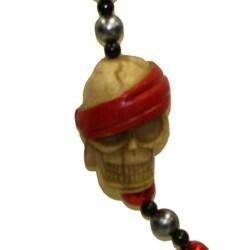 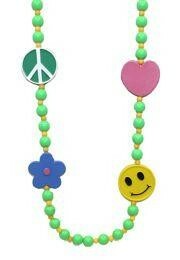 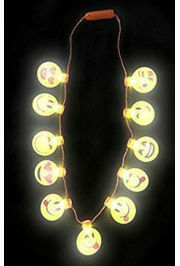 Some of the favorites include pumpkin beads, pirate beads, skull beads, and glow in the dark beads. 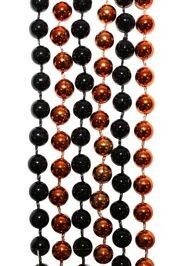 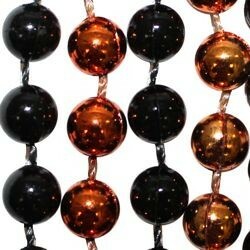 Halloween beads usually come in black and orange and are available in a variety of shapes and sizes. 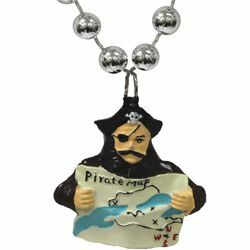 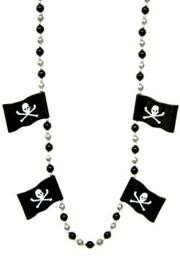 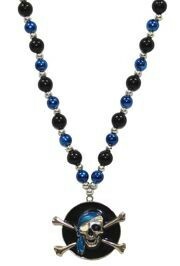 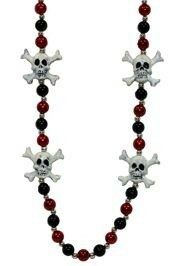 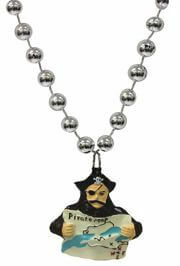 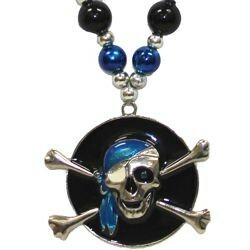 4 pirate flag medallions are separated by pearl beads and black beads. 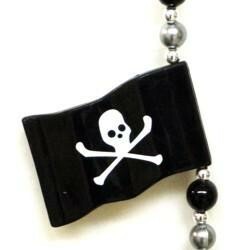 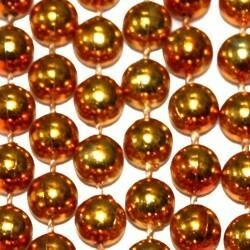 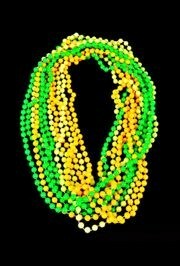 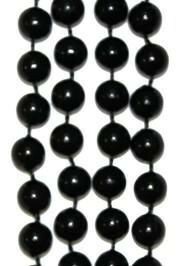 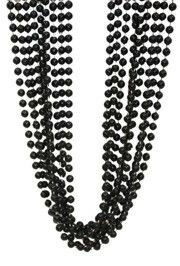 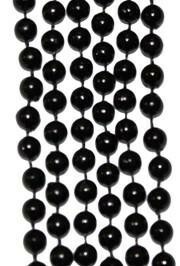 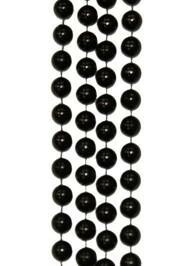 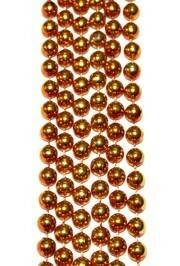 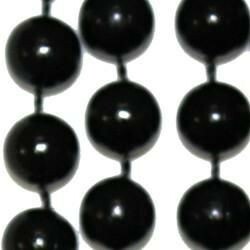 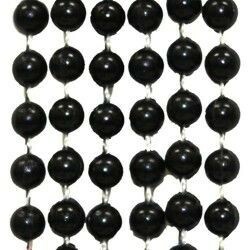 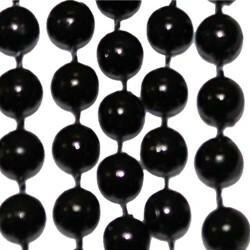 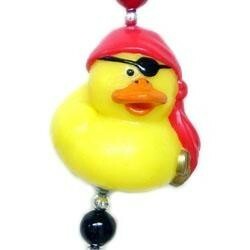 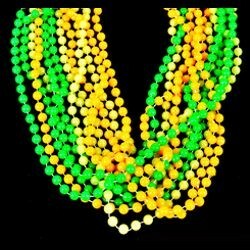 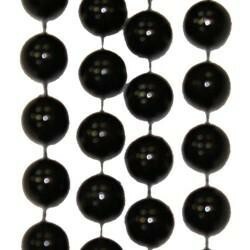 These beads can be found in our Flag Beads, Pirate Beads, Gasparilla beads, and Halloween Beads collections. 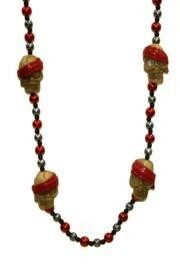 A 42in hand-strung black and red bead necklace with silver spacers. 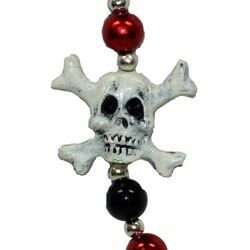 This bead has 4 skull and cross bone 3-Dimensional medallions making it perfect for Mardi Gras and Gasparilla parades and parties.